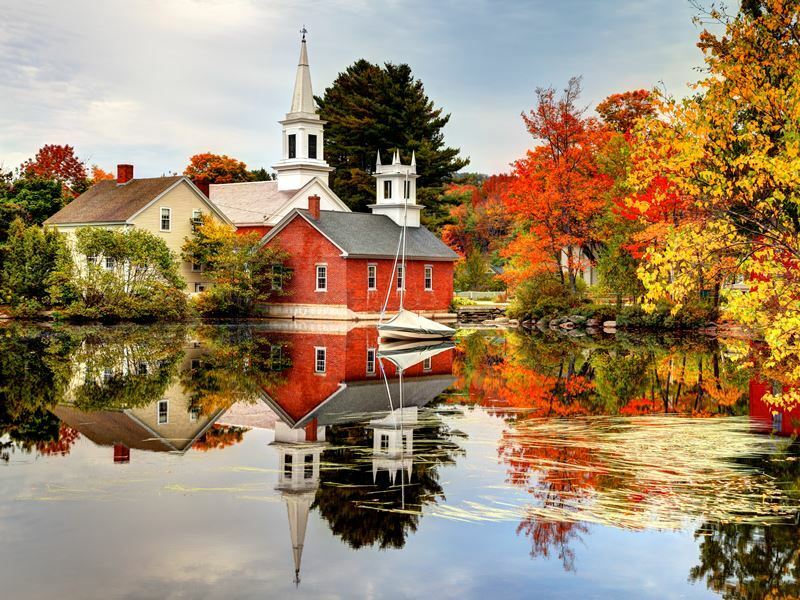 New England is world-renowned for its autumn colours, with some of the most vibrant foliage, including magnificent reds, brilliant oranges and golden yellows you’ll ever see. Begin an excursion in Boston by strolling the Freedom Trail, with a red stripe marking the route through some of the most historic neighborhoods in the city, including 16 important sites pertaining to the Revolutionary War along the way from Boston Common through Historic Downtown, culminating at the Charlestown waterfront. After exploring the delights of the city, drive the byways and highways that wind around mountains and valleys throughout the region, witnessing the remarkable hues of blazing red maple trees as well as violet-red pin cherry and yellow alder leaves, passing tranquil meadows and charming villages, like Stockbridge in the heart of the Berkshires. One of the country’s top leaf-peeping spots, it’s also home to attractions like the Norman Rockwell Museum where you can view a vast collection of the author, painter and illustrator’s works and personal memorabilia. Moving on to Stowe, you’ll feel as if you’ve stepped into a postcard, with its towering church steeples and covered bridges set against the colourful, lush Green Mountains. Just a short drive away and you can taste the deliciousness of retirement at Ben and Jerry’s Ice Cream too, with a guided tour that includes samples. New Hampshire is famous as one of the planet’s best places for viewing autumn’s reds and golds in destinations like the White Mountains, and you’ll find even more colour in the mountains and even along the rugged coast of Maine, highlighted by picturesque lighthouses. 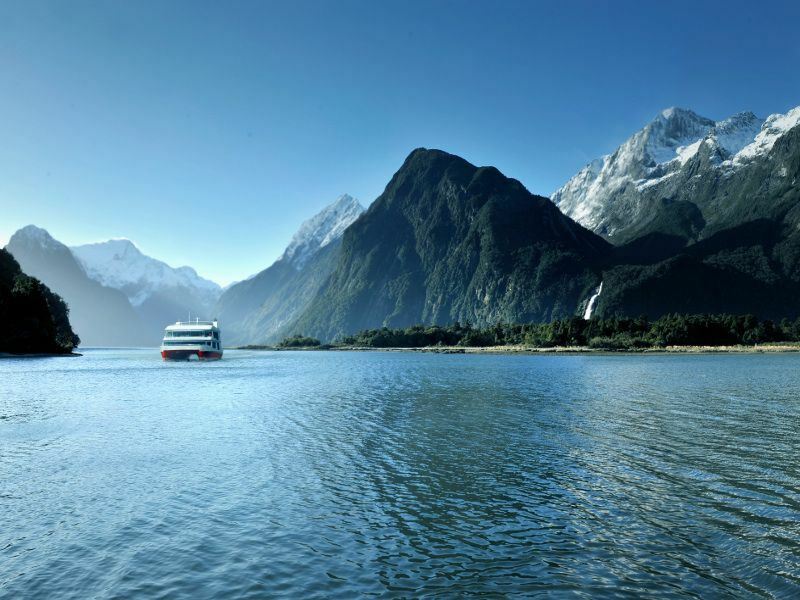 As Mark Twain once said, “Twenty years from now you will be more disappointed by the things you didn’t do than by the ones you did.” New Zealand is a true bucket list travel destination, a place where cliffs soar vertically from an azure island-dotted sea, waterfalls plunge down dramatic mountain peaks, and a wealth of outdoor adventure awaits. Cruise the Bay of Islands, a spectacular archipelago with secluded bays and beautiful sandy beaches along with abundant wildlife like penguins, dolphins and whales. Visit the Waimangu Valley, New Zealand’s thermal wonderland with its impressive geysers and hot springs that are sure to mesmerise. Exploring the buried village of Te Wairoa is a must. Destroyed by a volcanic eruption in 1886, you can view excavated homes, the ruins of a mill, tourist hotel, and an ancient stone Maori storehouse with archaic figures. New Zealand’s largest city of Auckland is an ideal spot for fine dining, with its iconic Sky tower, the tallest free-standing structure in the Southern Hemisphere offering a revolving restaurant for incredible panoramic views – perfect for toasting to your new life of freedom. The South Island is all about breathtaking, secluded wilderness with the opportunity to marvel at the Southern Alps, embark on a flight over incredible glaciers like Franz Josef in Westland National Park, learn about picturesque Lake Taupo’s sea monster legend, sail stunning Doubtful Sound and even experience the Glow Worm Caves, famed for their stalactites and stalagmites as well as the presence of glow worms, which simmer like blue and green fairy lights in the dark. 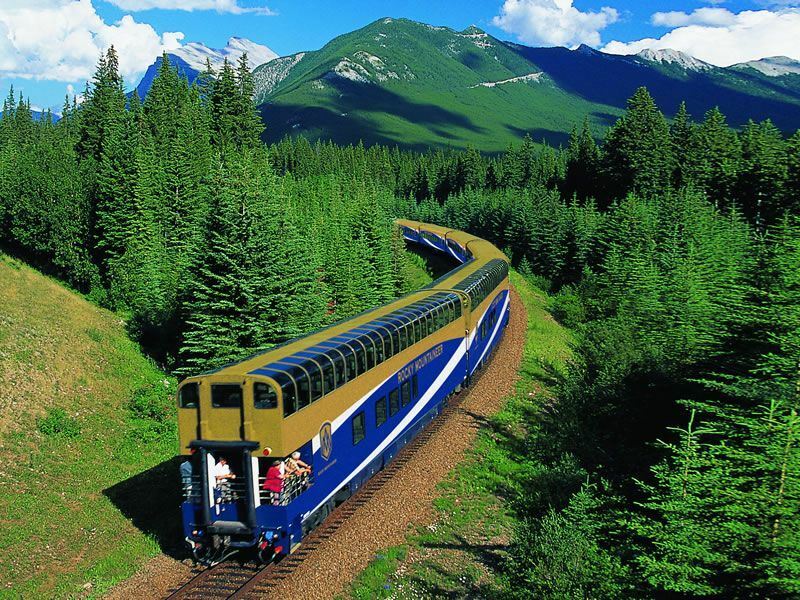 Canada is a vast country, renowned for its stunning mountain scenery, including the jaw-dropping Rockies, with destinations like Banff National Park, nestled in a valley surrounded by soaring mountains filled with jewel-like lakes. Glacially-fed Moraine Lake is one of its most photographed, with its other-worldly shade of blue created by the refraction of light off glacial rock flour derived from the Valley of the Ten Peaks. There are many ways to experience this landscape, like getting a bird’s-eye view via a gondola ride, hiking and biking. Afterwards, the park’s hot springs with their warm mineral waters, are ideal for a soothing soak. Take a drive of a lifetime on the Icefields Parkway from Banff to Jasper, watching for wildlife like grizzly bear, black bear, big horn sheep, woodland caribou, elk, marmot, lynx and bobcat along the way, and hike to the toe of prehistoric Athabasca Glacier in Jasper National Pak where you can view the effects of climate change firsthand. The largest of the “six toes” that make up the Columbia Icefield, hop aboard the giant Ice Explorer for a tour on its icy surface. 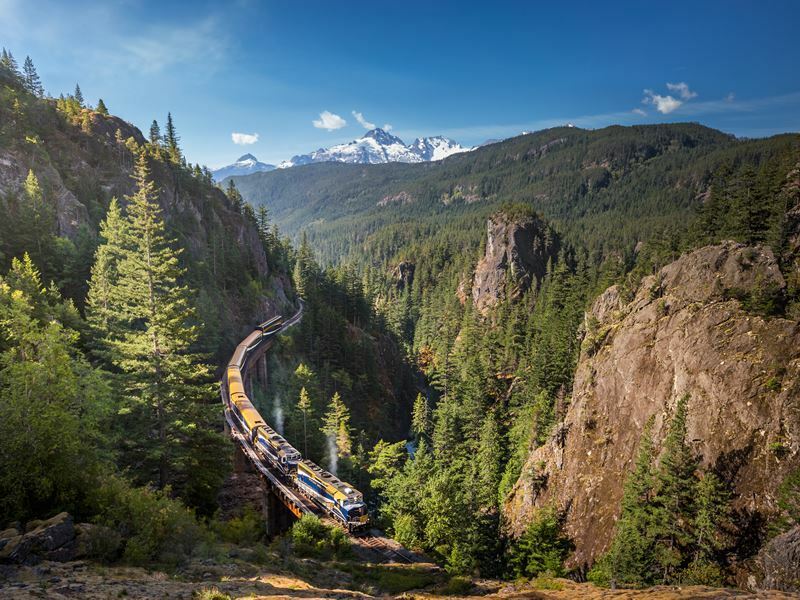 Continuing your journey west to the grand British Columbia city of Vancouver, you’ll have the chance to cruise the dramatic Inside Passage with its highlights that include Alaska’s capital of Juneau, Skagway, Glacier Bay and Ketchikan. Some of the best wildlife watching on the planet can be enjoyed here, including harbour seals, orca pods, sea lions, migrating humpback whales and bald eagles. If a trip through Asia has been on your mind, Vietnam and Cambodia are especially enchanting, with everything from magnificent temples and colonial architecture to tranquil rice fields and famous Ha Long Bay with its stunning collection of 2,000 karst outcrops. Explore graceful cities like the Vietnamese capital of Hanoi, a collage of cultural influences hosting a well-preserved Old Quarter with a maze of streets that are over a thousand year’s old. This open-air museum features historic Asian and French colonial architecture, busy markets and multiple outstanding museums. It also holds the distinction of being the only Southeast Asia city with an embalmed leader on display – the body of Ho Chi Men is preserved here in a mausoleum. 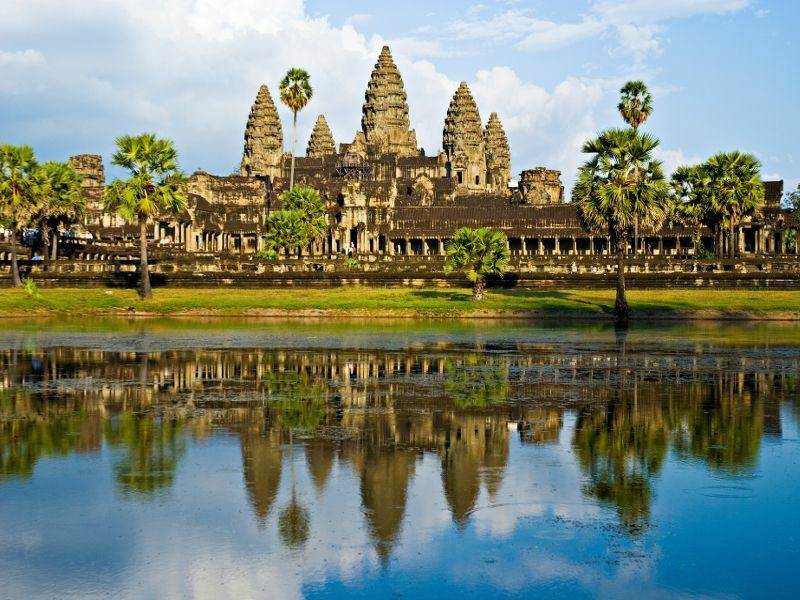 A cruise along the Mekong River is a must for the chance to experience the striking cultural contrast between the tranquility of Cambodia and the bustling delta of Vietnam. The small town of Kratie that lies along the banks of the Mekong, is one of the few places in the world to view the rare Irrawaddy dolphin. Experience authentic Mekong life, take a guided tour in a tuk tuk, visit monasteries, and capture shots of the lush rice fields. While Siem Reap is filled with attractions and provides exciting nightlife options, it’s the sunrises over Angkor Wat that draw so many visitors, with the morning light washing across its temples and ruins, looking as if it’s a gorgeous painting come to life. An African Safari is something many people spend their lives dreaming about doing but few manage to make it a reality. 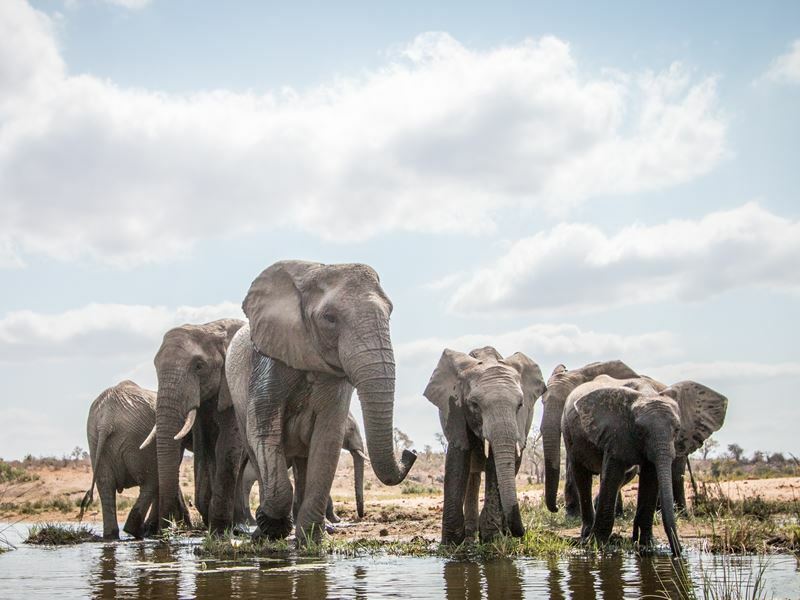 With the endless time that retirement allows, take advantage of it by heading to one of the most impressive destinations for wildlife watching in the world: Kruger National Park. Here you can get up close and personal with the Big Five, elephant, leopard, lion, black rhino and Cape buffalo. It’s a bird watching enthusiasts’ paradise too, with a remarkably diverse array of birds throughout the park, including nearly 230 species, some of which can’t be seen anywhere else in southern Africa. The epitome of safari experiences, at Kruger National Park you can also treat yourself to a stay at one of the luxurious lodges that not only offer game drives and walking safaris but perks like glass-front suites for viewing and even private plunge pools. You can check off many bucket-list experiences with a trip to China. Begin in one of the most exciting cities of all, and the capital for more than 800 years. Beijing hosts some of the finest remnants of the nation’s imperial past, like the Ming Tombs, a mausoleum of 13 emperors of the Ming Dynasty; the Forbidden City, The Great Wall, and more recent relics like Tiananmen Square, the world’s largest city square. It also boasts multiple shopping districts, from the traditional like Wangfujing Street and Qianmen Street, along with lively outdoor markets. In Shanghai, China’s largest and most cosmopolitan city, you can experience the past, present and future all at the same time. Capture photos of the mesmerizing Pudong skyline with its Pulbous Oriental Pearl TV and Radio Tower and get a taste of Old Shanghai in the Puxi district by strolling along the riverside. 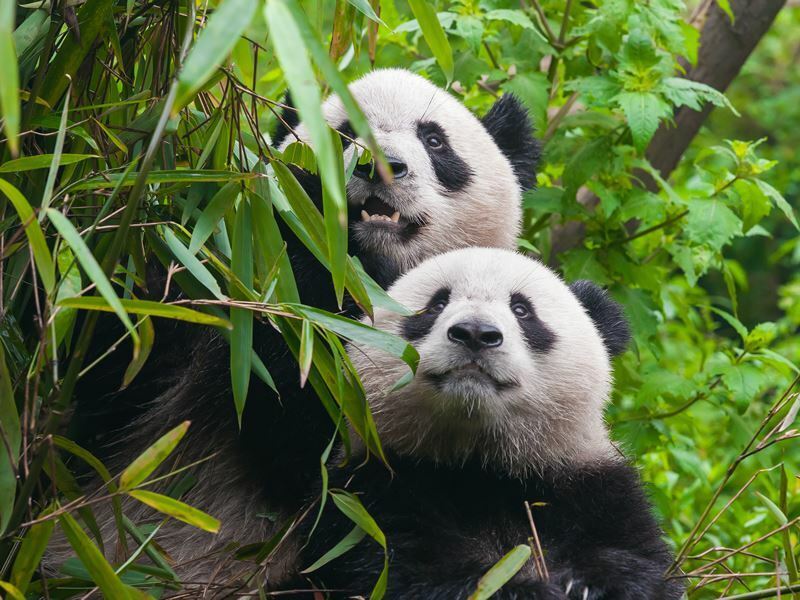 The highlight for many of a holiday to China, is a cruise on the third longest river in the world, and Asia’s longest, the nearly 4,000-mile-long Yangtze. The Three Gorges area is arguably its most impressive stretch with 80 miles of breathtaking scenery, though the centuries-old pagodas that can be seen along the banks of the river are a close second. Watch for several of the country’s endangered species, including the Chinese alligator and the river dolphin. Craving the feel of the spray of the sea on your skin and the wind in your hair? Bali is an exotic island paradise that offers the chance to embark on a sailing adventure you’ll never forget. Glide across the clear blue waters, making stops on uninhabited islands with pristine stretches of sands, and places like Komodo Island, home to Komodo National park, famous for none other than the Komodo dragon, one of the largest lizard species there is, as well as Pink Beach, one of only seven pink beaches on the planet. Here you can simply dig your toes into the soft sands and relax while taking in the mesmerizing view or jump into the enticing warm water for some of the best snorkeling around, with the unspoiled reef boasting a remarkable array of marine life. One of the world’s top destinations for a holiday, Malaysia boasts everything from cities rich in cultural attractions and well-preserved historic treasures to postcard-perfect beaches, unspoiled rainforest and stunning islands. 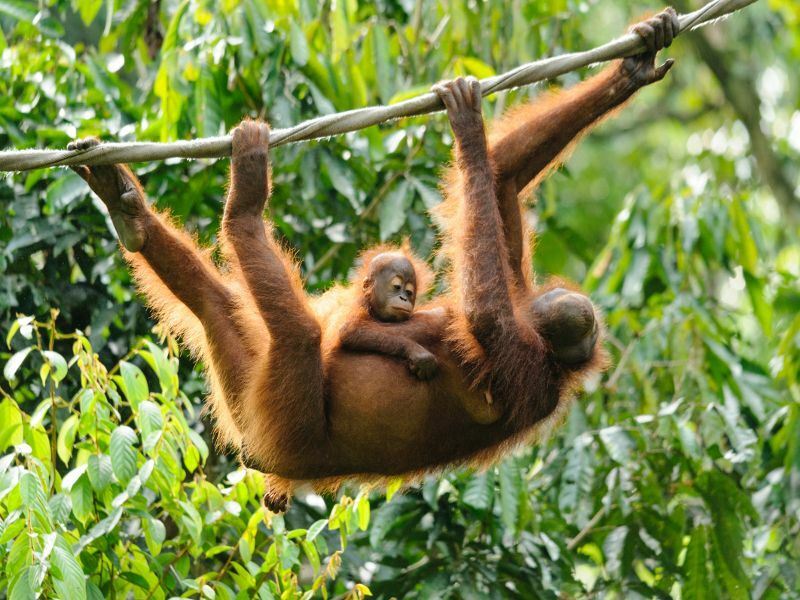 Borneo is legendary for its wildlife that includes rhinos, pygmy elephants, orangutans, longtail macaques and proboscis monkeys. In the northeast corner of Malaysia in the Andaman Sea, the Langkawi Islands, an archipelago of over 100 islands offer powder sugar-like beaches, coastal mangrove swamps and warm turquoise waters. Here you can enjoy your favourite beach activities, hiking and a variety of attractions like Malaysia’s largest indoor aquarium and the tomb of Mashuri. The Langkawi Sky Bridge is the longest curved, free span bridge on the planet, more than 410 feet in length, suspended by a 269-foot-tall pylon that hangs 328 feet above ground. If you can gather up a little courage, you’ll ride while swinging out over the landscape for a unique experience and extraordinary views high above the jungle. The capital city of Kuala Lumpur, with its mix of Malay, Chinese, and Indian influences results in practically endless culinary exploits, considered one of the best spots for street food anywhere in the world. Its Central Market is a must-experience as a bustling, colourful market jam-packed with all sorts of stalls and eateries that are housed in a unique art deco-style building. The 88-story Petronas Twin Towers is the city’s crown jewel, hosting the world’s highest double-decked bridge with its dazzling spires and spectacular views. 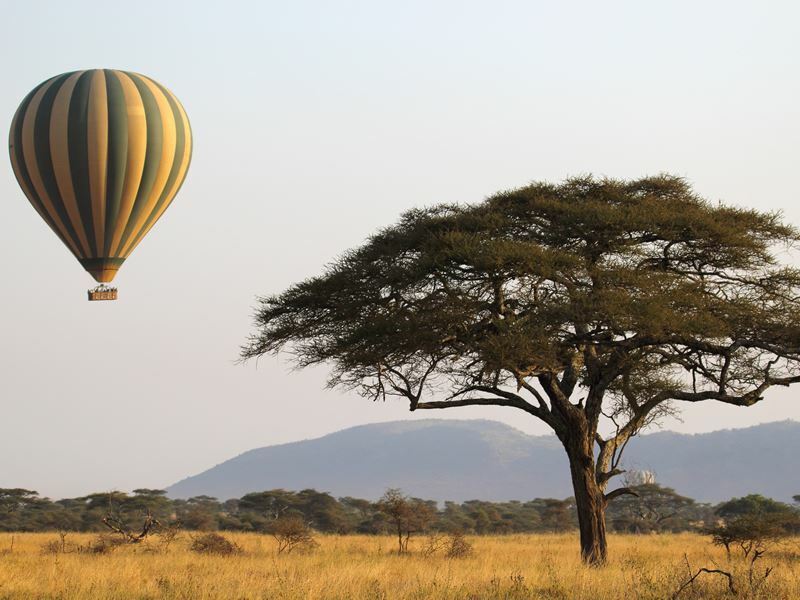 Set in the northern region of Tanzania, it’s hard to beat the Serengeti when it comes to exotic wildlife. While fewer than 100,000 visit this park every year, those who do are likely to be rewarded with sightings of wildebeest, lion, zebra, gazelle, buffalo, zebra and more. Frequently named the best destination in Africa for a safari, between December and July this is where you can witness the wildebeest migration, feeling the vibrations of thundering hooves beneath your feet, with millions of the animals forming one of the most amazing sights on the entire planet. Ngorongoro Crater is often considered the best place on Earth for viewing on the most wildlife in one compact wildlife venue, with practically guaranteed sightings of the Big Five. From the very first mesmerizing sight of the crater and the thrill of the descent down its inner walls, here you’ll get a true sense of what Africa is all about. Just off the east coast of Africa, the Tanzanian archipelago of Zanzibar offers the chance to combine this bucket list adventure with exotic beaches, culture and history. 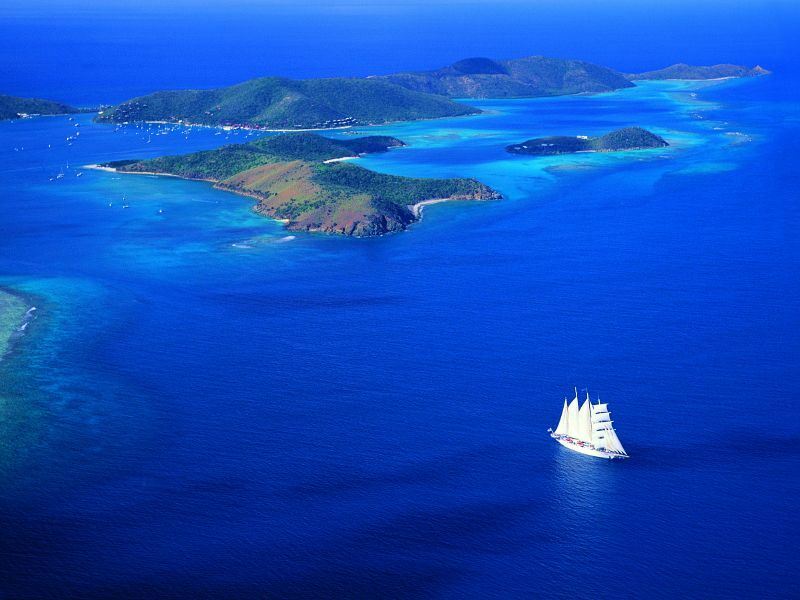 It’s a land with rare primates, fresh seafood, colourful markets and endless options for activities on the water. Soak up the sun and the sand or enjoy some of the world’s best snorkeling from beaches like Kiwenga. More than 350 various fish species have been recorded here alone, with the deep water attracting some of the giants of the Indian Ocean too, including humpbacks that occasionally come close to shore. 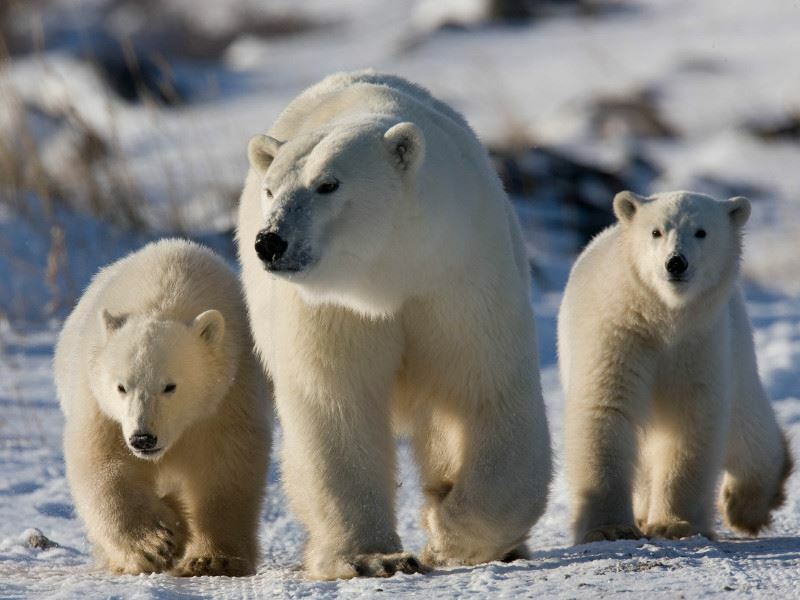 Situated along Hudson Bay in the far north of Manitoba, Canada, Churchill is known for its polar bears, with so many it’s sometimes referred to as the Polar Bear Capital of the World. In autumn every year, hundreds of the animals gather here waiting for the bay to freeze so they can venture onto the ice to hunt for seals. It’s one of the few settlements on Earth where you can enjoy close encounters with the bears, from the safety of your lodge, or the comfort of a unique tundra vehicle. As the polar bears haven’t eaten a full meal for months now, they tend to spend their days conserving energy, lazing about allowing viewers to more easily capture photographs. Thanks to its northern location, Churchill also boasts one of the heaviest concentrations of auroral activity in the world, making it ideal if you hope to see the colourful dancing lights. This stunning natural display occurs when solar particles enter the atmosphere, and on impact emit burning gases that produce the dazzling display.